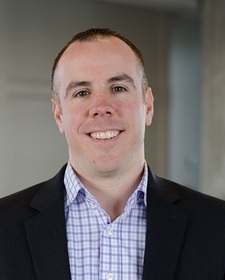 BOSTON, MA--(Marketwired - Jan 21, 2014) - Attendware, the innovator of event management software solutions, announced today that Jim McDonough has joined the company as vice president of sales. In this role, McDonough is responsible for building the inside sales team and driving revenue through new customer acquisition and expansion. "We are excited to welcome Jim to our expanding team," said John Donnelly III, chief revenue officer at Attendware. "Jim's proven track record of strong growth will be a huge asset to our high energy and talented team as we continue to grow in 2014." Most recently Jim was Director of Sales for Mashery where he led the inside sales team to generate leads and close business in the mid-market leading to a successful acquisition by Intel in 2013. Before joining Mashery Jim spent four years as an integral member of the sales leadership team at SmartBear Software, the #1 software testing tools vendor by volume in the world. Jim began his software sales career at Acronis, a market leader in the disaster recovery space.